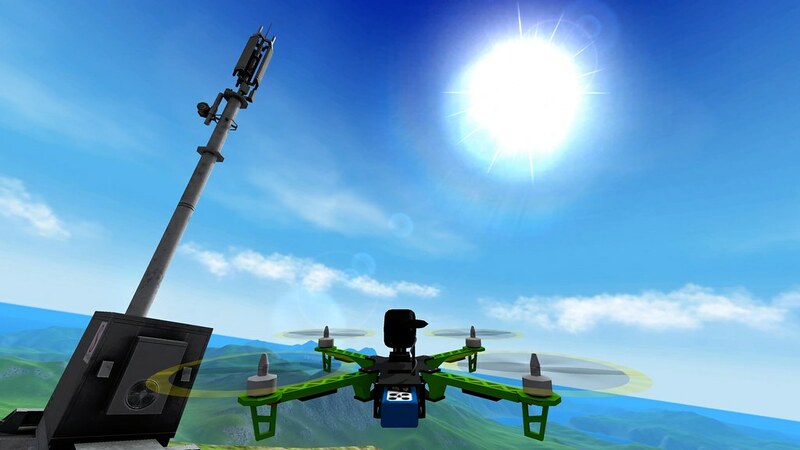 Firstly, welcome to the new Drones Update for Amazing Frog?. 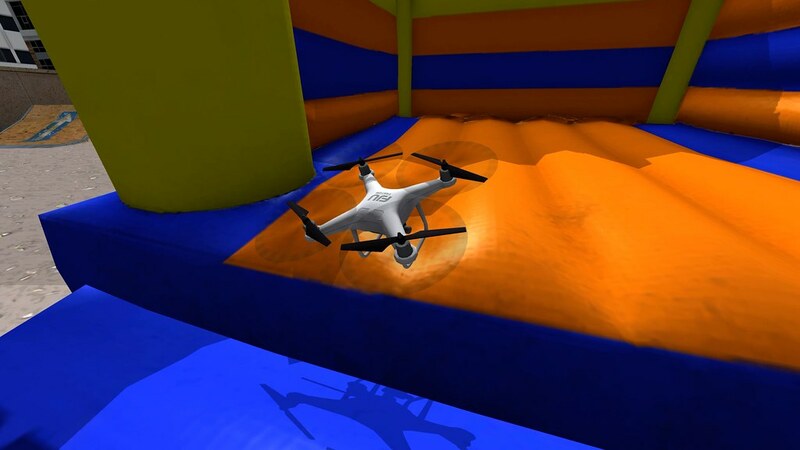 We have wanted to include drones in the game for some time now. 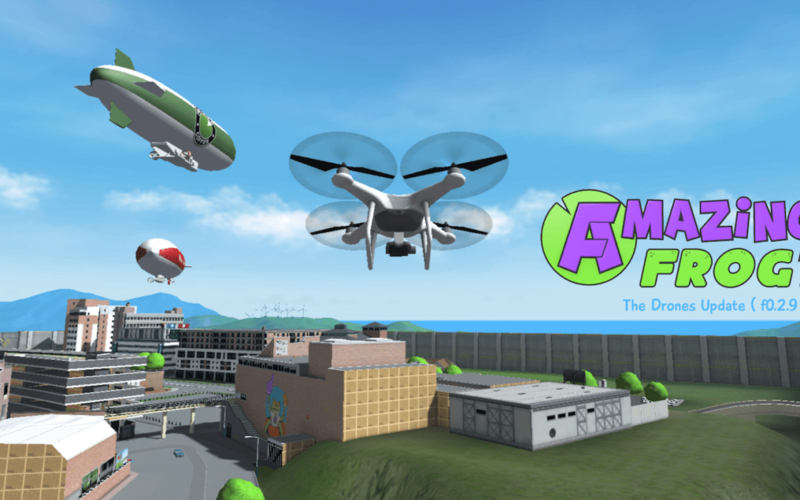 Not just because we wanted to use them to generate fancy cinematic camera angles to make a decent trailer ( …still pending… ), but also because you get to fly around like a maniac and explore Swindon Shire in a whole new way. You can explore areas you might want to be able to go. Part of Amazing Frog? 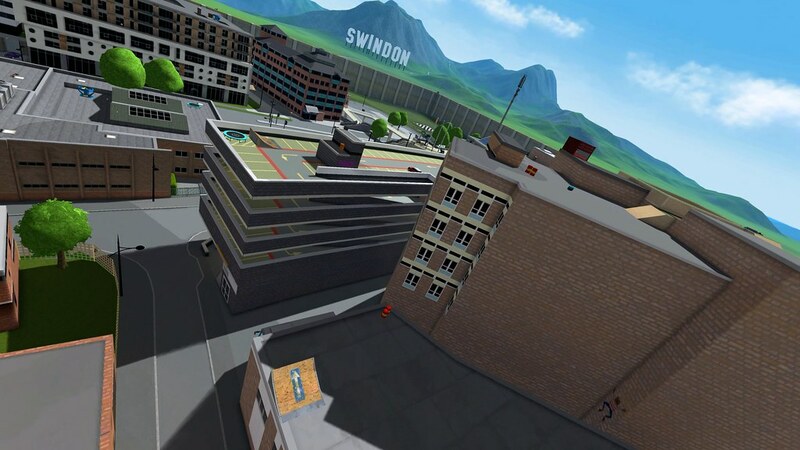 has always been that as a new player it’s difficult to escape Swindon. We used to enjoy that there would be an element of surprise when you eventually scaled the wall and realized you were in a larger world. Obviously, it’s an Amazing Frog? update … so there are some other things in there to discover. The pigs have not returned yet, we are working on something that will bring them back to SwindonShire and that will be available soon… In the meantime, if you need to get somewhere snappy, you might be able to find something else you can hitch a ride on. The other main purpose of this update is that it contains some fixes and stabilization, I don’t think the last version was working particularly well. Had I not been so wrapped up in V3 and all the multiplayer code, I might have noticed sooner. Thank you to everyone who reaches out to me from the community to tell me about issues with the game, like leaving out the FrogMilk Coffee Co App Activation… Doh! Also, genuinely, I’m really sorry I left Santa’s Grotto in the car park until March. (…again…) I think subconsciously, I just want to prolong Xmas because it’s my favorite time of year. Realistically, I just got distracted with development and was spending my time in a completely different environment where frogs actually have fingers. So what have we been up to? 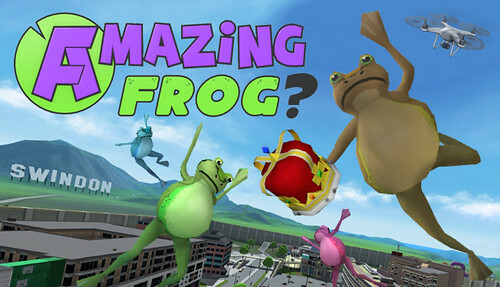 Well, we launched the pocket version of Amazing Frog? on iOS at the beginning of January and then we began working exclusively on the multiplayer side of V3. We have been trying to push to a place when we can release the first alpha of V3 with online multiplayer. I won’t bore you with screenshots of that activity, because it would be mostly of code and a bit of me crying… The cost of V3 dev is that it can be very absorbing and almost grinds V2 progress to a standstill. This might not be a problem if we were done with V2, but we are not. You will be seeing some more updates in the next few weeks/months. Ultimately, our goal is to take V2 out of Early Access soon. I guess we could have done that already. Looking forward, I don’t anticipate leaving Early Access will change the way we develop and we are still creating and planning new content for V2..oink. It’s just that Early Access is not a label we are totally comfortable with anymore. Mostly, because we have been in Early Access since 2014 and other peoples reactions to the phrase “Early Access” is weird. 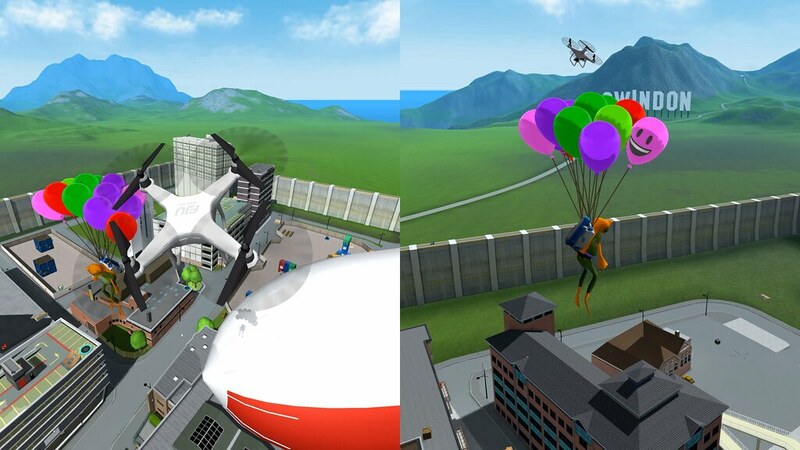 There were always certain things we wanted to do in Amazing Frog? before we left Early Access, or at least what our definition of Early Access is/was. 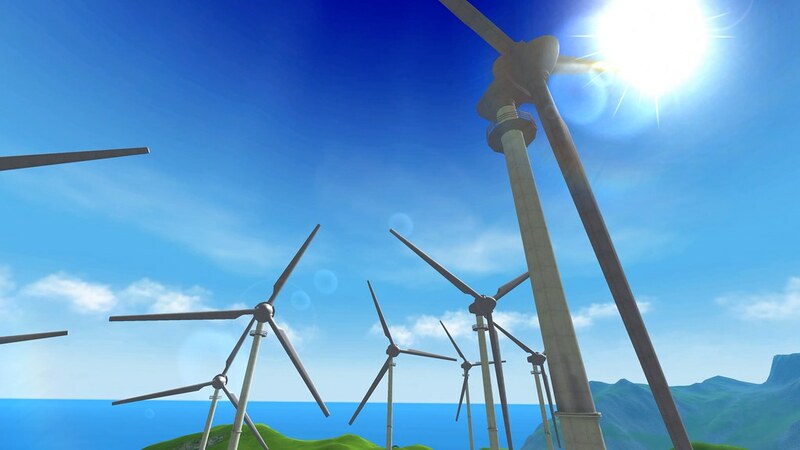 We need to implement structures in the game design that make the world feel more complete. On the one hand, this is about facilitating the growth of the world, but on the other, it’s about reinforcing the underlying narratives that already exist in it. Also, we want to give a clearer picture of how we feel the world fits together, the companies, the activities etc. I touched on this in some previous dev blogs. We are also trying to tidying some/many of the “rough edges” and refine the overall product of Amazing Frog? You may have noticed that we changed the capsule Artwork on the Store page. This is the first time we have done this since launch …mainly because any time we had, we would spend on adding weird stuff to the actual game. I will also need to rewrite the description so it’s more up to date.